Helen Marshall is an award-winning Canadian author, editor, and doctor of medieval studies. Her poetry and fiction have been published in The Chiaroscuro, Abyss & Apex, Lady Churchill’s Rosebud Wristlet, Tor.com and have been reprinted in several Year’s Best anthologies. Her debut collection of short stories Hair Side, Flesh Side (ChiZine Publications, 2012) was named one of the top ten books of 2012 by January Magazine. It won the 2013 British Fantasy Award for Best Newcomer and was short-listed for an 2013 Aurora Award by the Canadian Society of Science Fiction and Fantasy. 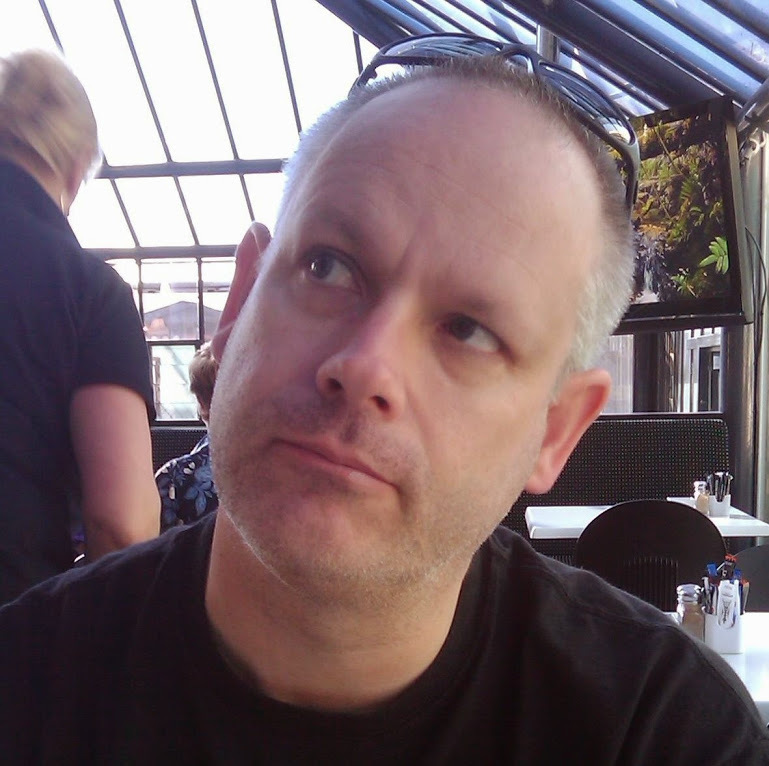 Graeme is a Software Solution Architect and Voice Actor living in Melbourne Australia. He is the sound producer for the horror podcast Pseudopod, and former host of the YA podcast Cast of Wonders. You can find him on Google+ and he occasionally tweets as @kibitzer on Twitter. Because Larry said it would never work, we knew we had to try. Because Larry said he didn’t want any part of it, we knew we had to try it out on him first. That was the way it was with Larry. That’s how it had always been between us. The four of us knew it. No one questioned it. We could all see the slightly sick look come over Larry’s face as he realized. We could see him turning pale. Pushing at his taped-up glasses and starting to scramble. He tried to say something. Marvin grabbed the shrink ray. And the world popped and crackled around us. Maybe it wouldn’t have been like that if Larry had never said anything. But when Larry had followed the instructions last time it had been a disaster. “Please let me come home with you,” the miniature dog begged in a giant speech bubble. The dog was black, with long, floppy ears, cartoonishly wide eyes and a white-speckled snout. Larry, on the other hand, was skinny as a beanpole with a face full of acne. His elbows and knees were huge and knobbly. They stuck out like the knots in the ropes we had to climb for gym class. And if there was any boy who ever was in need of a dog it was him. And so Larry sent in his coupons and waited at the door for the mailman every day. He waited the way he had every day for the past year; while those other times it had been with terror, this time it was with stupid, fearless joy. You see, the thing you need to know about Larry is that his brother Joe had joined the Air Force last September. “GEE!! I WISH I WERE A MAN!” said the ad. “Come to the UNITED STATES AIR FORCE Recruiting Station,” it said. We all wished we could be men—of course we did!—but only Larry’s brother Joe was old enough. So he’d signed up just like it said to. They’d sent him to Honolulu for a while and then after that he had been moved to Seoul where he wrote back letters every once in a while about how hot it was and how many of the shovelheads he had killed and how much he missed his kid brother.